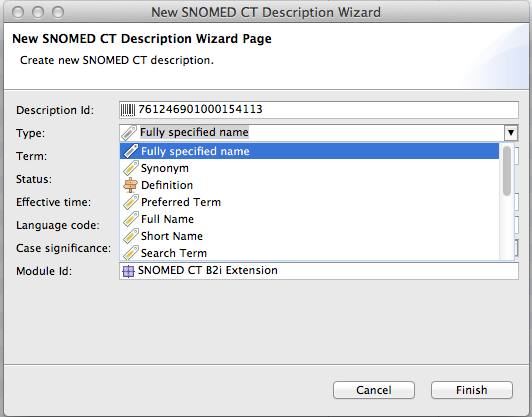 We have added support for SNOMED CT RF2 description format reference sets, which provide metadata about description types. These reference sets specify the maximum length and format for each description type. Snow Owl's editors and wizards now allow entering any description types present in the imported metadata. 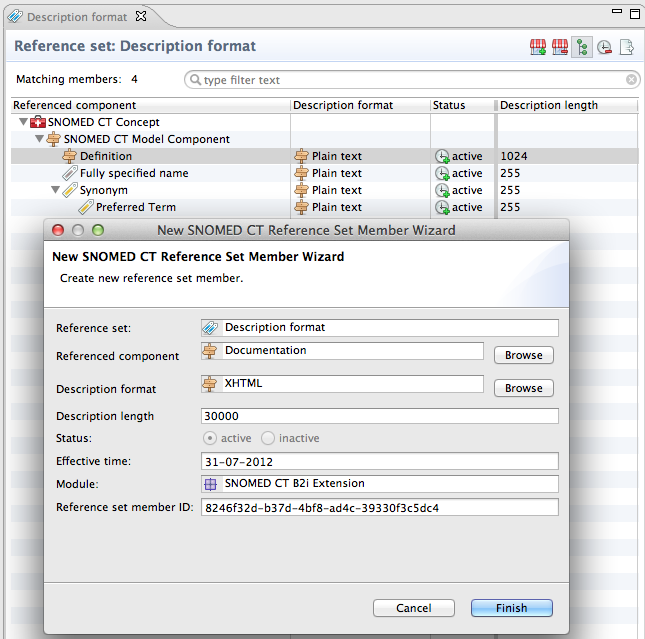 We now import description format reference sets per the SNOMED CT RF2 specification. We have provided an editor to view and modify description format type reference sets.